A old guy in Varanasi, India. – yes, here I am. A old guy in Varanasi, India. I’ve stayed at Varanasi for two weeks. During the stay, I tried to live as a local. I had a meal at local restaurant with local people and went to the theater and so on. 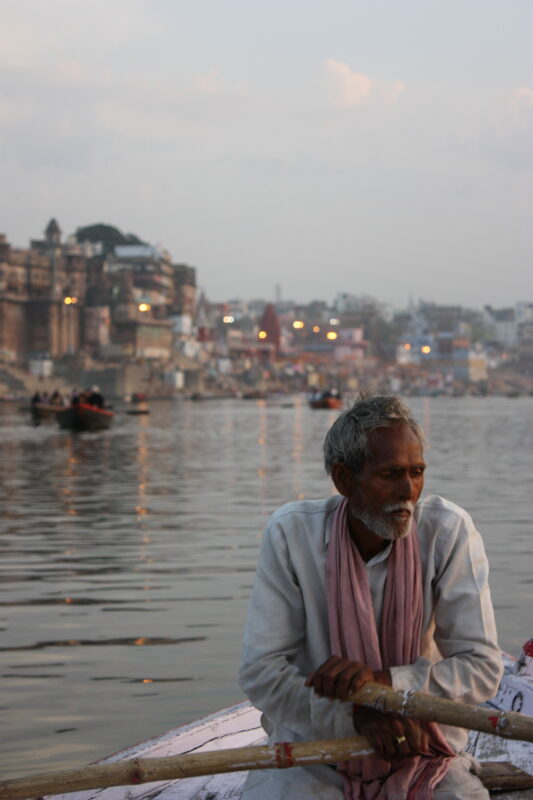 One day, I went to Ganga, and asked a old guy to take me the Ganga tour. He was so old, but he was quite polite and sincere.